"Mr. President, how long must women wait for liberty?" 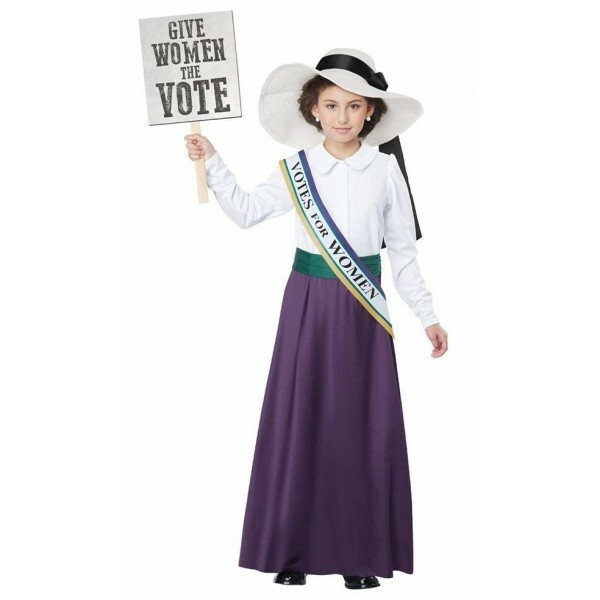 Celebrate the daring women of the last years of America's suffrage movement with this costume set from California Costumes! The dress features fashion details of the time including the Peter Pan collar, the wide waistband, and the floor-length skirt. 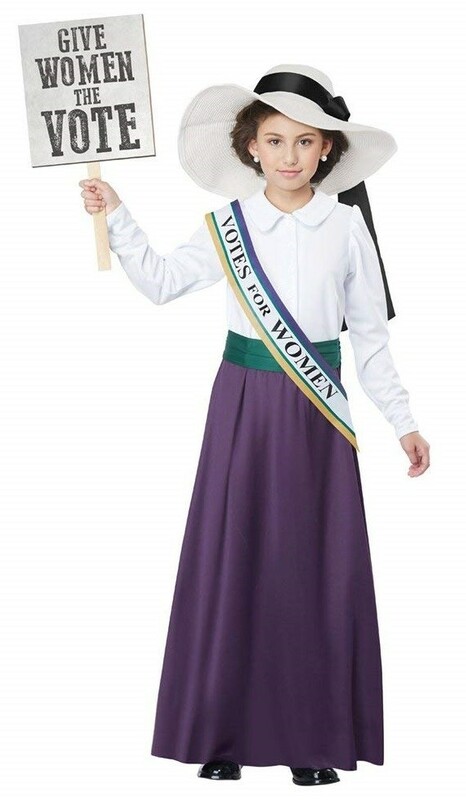 It also comes with a sash that says "Votes for Women" and includes the suffrage colors of purple, white, and gold. Please note: hat and sign not included.